One of the things I'm trying to do, as recommended by Dean Wesley Smith, is to actually "practice" writing in the same way that a golfer practices their swings, a musician practices chords and songs, or a singer practices scales, harmonies, etc. On my writing blog, I'll be talking about some ideas I have for practicing writing so that you can improve your skills more quickly. Another, as recommended by a writer at ConText in September, is to commit to writing ten opening lines a week. Each week, you take one and do a paragraph. And each month you turn one of those into an opening page. This is intended to keep your brain active and give you material to work with if you feel like you might be having writer's block. Fully Invested: A video game AI is tasked with managing its creators investments, but finds itself under attack by Russian criminals, malware, and other threats. The Alliance: This is currently more a story universe than a novel idea. It's based on NASA finding an ancient alien time capsule on a moon in the solar system, which provides us with the knowledge to travel faster than light, and what happens to us after that. Alien Love Story: A gray alien abducts a young woman and, while performing experiments on her, realizes he's fallen in love with her. Driven to Kill: In the near future when cars are self-driving, a serial killer manipulates the car sensors, traffic light timers, etc., to kill vehicle occupants without getting caught. An investigator for the car manufacturer discovers the truth and comes after him. Local Gods: A world where gods have incredible powers, but they're limited to where they can be used. For example, you might have a god whose power extends across Ohio but who is totally ineffective in Pennsylvania or Indiana. Different gods have different powers, too. The Black Eagles: In a future interstellar society, serious crimes have been all but eliminated. Our story focuses on a career criminal operating in this universe. In the midst of a crime, The Black Eagles, a police organization he thought was a myth, closes in on him. The Old Hotel: In a small town, there is a hotel in which something happened that killed all the employees and guests. No one has been in the hotel since the tragedy, and even the remains of the people who were in it are still there. A young girl ignores the warnings and goes inside. Columbus Beer Scene: A blog that talks about craft beer, breweries, brewing events, home brewing, and more... but with a Columbus, Ohio, bend to it. It features a beer review every Friday evening. 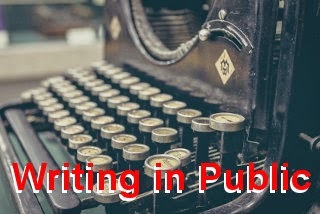 How to Write Fiction: A blog about writing short stories and novels, in which I share things I learn about writing to help other novices like me. Introduction to Application Repackaging: A technical blog about Windows application repackaging, which is associated with a book I've been working on. Windows Desktop Administration Site: A blog about topics related to the administration and management of Windows desktop and laptop computers in a corporate environment. When I give a word count to blogging, it will refer to articles which are posted on this site or one of the four above. Note that in order to keep my content fresh, I often write posts that won't appear online for days, weeks, or months. So if I tell you I wrote 2,000 words in blog posts, that doesn't mean you'll necessarily find them online right away.